The collection of parts has started! Home/Building/R2-D2/The collection of parts has started! So, the past weeks I’ve been traveling in the US and performing. Inbetween shows, I managed to get some time and look around for parts, and as luck had it, I even attended the R2 Builders in Las Vegas! 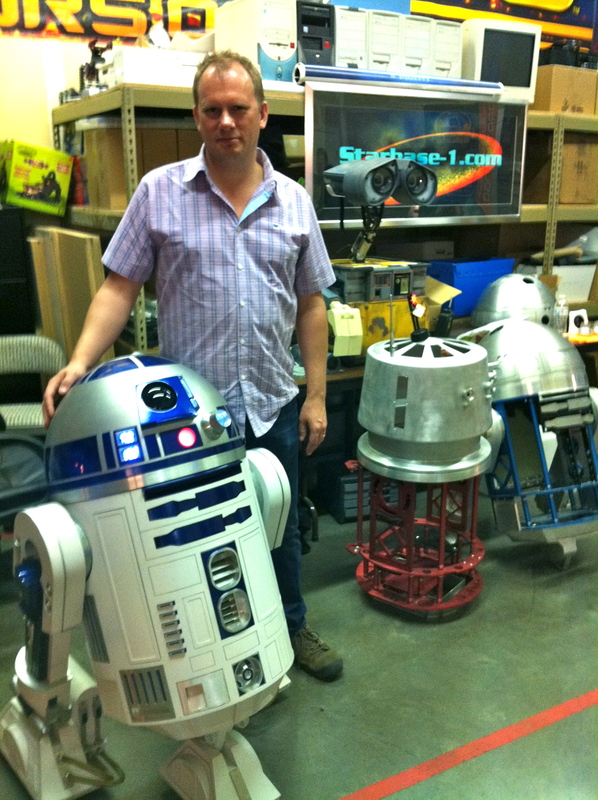 I had a great time meeting many droid enthusiasts, and Wood frame constructor, Mike Senna was very helpful in discussing how the R2’s were made. 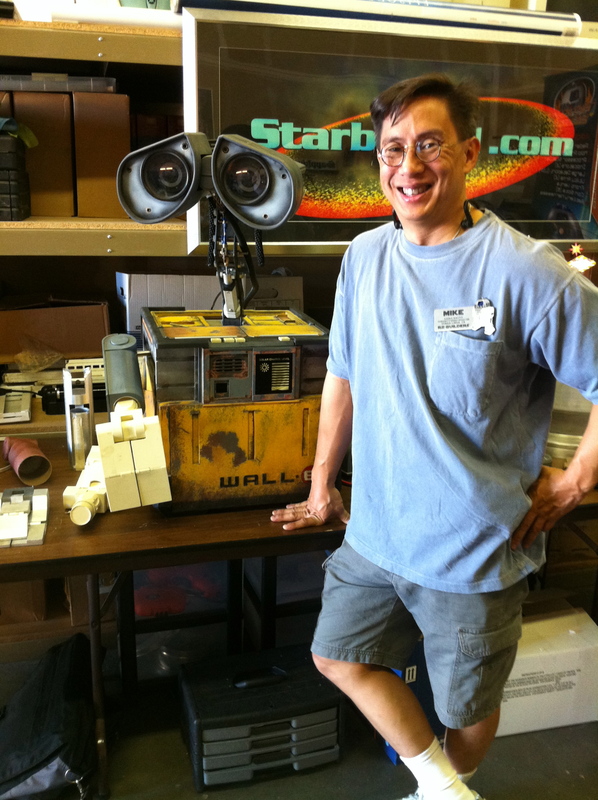 Inside the workshop, Mike had even brought his Wall*E, which just looks amazing! 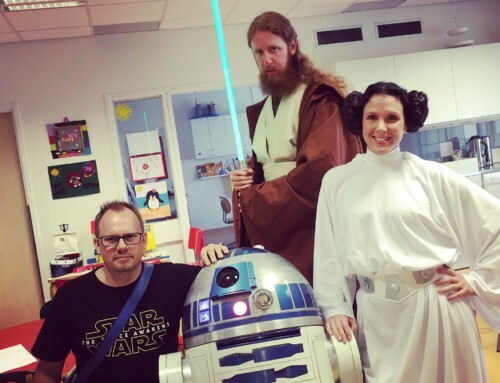 It was my first meeting with a full size Astromech droid, and it was something that I really enjoyed! In addition to doing shows and traveling around, I did find some time to start collecting parts! I now own quite a few of the needed small items, and also started working on blueprints for my R2. I’m really trying to get as much as possible done on the blueprint stage, as better blueprints makes for a better droid. Naturally, I’m standing on the shoulder of giants while doing this, and i’ve used the blueprints available to the r2 builders group by Dave Everett as basis, with small modifications, and also just going through them in order to know what I’m going through! Interestingly enough it turned out that I knew Dave Everett from two years back, from a totally different area of life than droid building, and that was great fun! I’m looking forward to see you all again, and make new friends as my venture into the droid building continues. In the mean time, back here in Sweden, I’ve been contacted by a fellow R2 builder with the nickname Sigge, who I’ve been talking a lot with and had a nice exchange of ideas. Sigge is now ordering the styrene needed for the droid while I’m working on getting the blueprints ready. So far: great fun, but still waiting for when the build can actually start for real! I’ve got mort resin parts coming in, and a few on back order, but as soon as they should come in, I think I am ready to start actual construction! By micke|2016-12-06T00:02:07+00:00October 27th, 2011|R2-D2|Comments Off on The collection of parts has started!